"The tournament was a great success, with over 200 students in attendance"
The Phoenixville Area School District Middle School and High School TATU Clubs recently held their annual Great American Smoke Out (GASO) event as part of the larger Southeastern PA Tobacco Control Project. The third Thursday in November is the national day for the Great American Smoke Out, encouraging smokers to use this as the start date to quit. TATU is a program developed by the American Cancer Society, American Heart Association and American Lung Association as a youth empowerment vehicle. TATU teens provide tobacco education to students through peer-to-peer activities – such as skits, role-playing, videos and discussions. 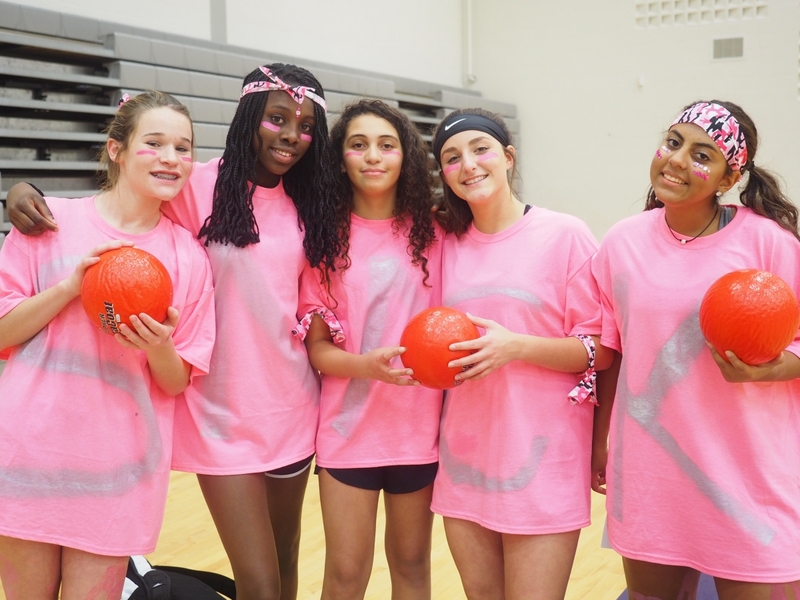 For the Great American Smoke Out, the clubs held a Dodgeball tournament as a fun way to inform students about the health dangers of smoking. The tournament was a great success, with over 200 students in attendance. The PASD Teens Against Tobacco Use (TATU) partner with both the Phoenixville Hospital and the Communities that Care of Phoenixville, sponsors for the Great American Smoke Out. Many thanks to Billie Goldstein (TATU Facilitator and Tobacco Control Programs Coordinator for the Phoenixville Hospital) and Dolly Winston (Director for Communities That Care of Phoenixville). They are ardent supporters and work in connection with TATU for Phoenixville School District, both at the high school and middle school. Mr. Kevin Corcoran is the TATU advisor. For more information about TATU or GASO, please contact us. © 2016 SEPA TCP is a program of Health Promotion Council (HPC). HPC is a PHMC affiliate.